Temperature, salinity and food supply are key influences on the shape of common blue mussels (Mytilus spp. ), reveals a new study involving scientists from British Antarctic Survey. The research is published this week (12th February 2018) in the journal Scientific Reports. Common blue mussels generate unique habitats which support considerable biodiversity in coastal regions, and are a key economic resource for the aquaculture industry. Understanding how they respond to environmental alterations is becoming increasingly important, given the predictions of future environmental change. 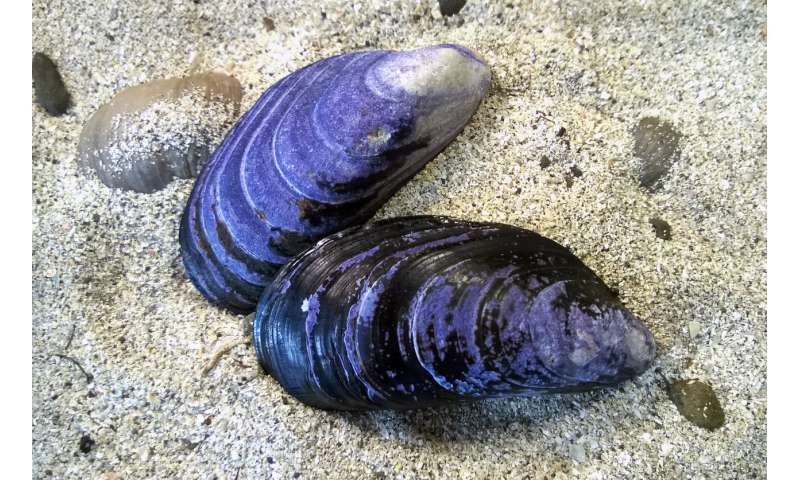 Scientists studied blue mussel populations over a wide geographic range, along the Arctic, North Atlantic and Baltic Sea coastlines, to assess the potential environmental impacts on shell shape. The results identified that temperature, salinity and food supply are the main drivers of variability in shell shape for mussel populations. 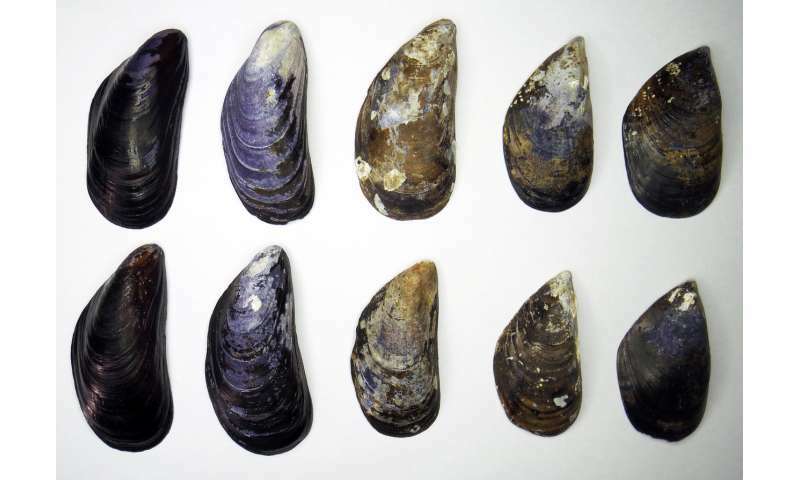 "Identifying this connection, between environmental conditions and shell shape, is important as it provides an insight into how mussel populations may change in rapidly changing environments." "Despite the large geographic spread of about 4000 km we observe similar changes in shell shape across the populations studied. This suggests that these changes are important responses to environmental stress, which may lead to dramatic shape modifications in common blue mussels in the future." In natural environments, shell form in mussels is affected by many environmental factors during growth and aging, and it varies between species. Previously the complexity of these interactions limited the value of predictions on the future responses of mussel communities to habitat alterations. However, in this study the researchers developed a new method to study the effect of environmental factors upon shell shape variations in mussel populations. The approach allows scientists to accurately describe which shell traits change with specific environmental parameters, such as temperature or salinity, regardless of aging, species and other potentially confounding factors. This study is part of the CAlcium in a CHanging Environment (CACHE) (www.cache-itn.eu/) Marie Curie Initial Training Network aiming at pushing forward our understanding of how commercially important shellfish make their shells in changing environments.